I almost forgot blogging about my experience here at Arcat till I saw #BarakoPH post about it. Sorry :) But today let me share our celebration at Arcat. Last October, we celebrated my daughter's birthday twice, one with my in-laws and the other one with my family. Since Ciudad Food Avenue is quite near at my in-laws, I decided to take them there. We had been looking around to find food that will cater our group but with affordable package too. Also, we aim to find foods that suits with us since there are kids too. Among the choices, Arcat was our best choice. Indeed we have the best choice ever at the end of the day. We have been looking for food for Inay because I want her to enjoy too. Since Inay is senior already and must be eating not too oily foods, we ordered Sinigang na Hipon. I also added a Lechon Kawali for my sister in-laws and for the kids, 3 platters of chicken and barbecue. The order took awhile before it was served but it's worth the wait. For it is not really a fast food pace restaurant, we should also consider the waiting period. We take group photos as we waited for our food to be served. 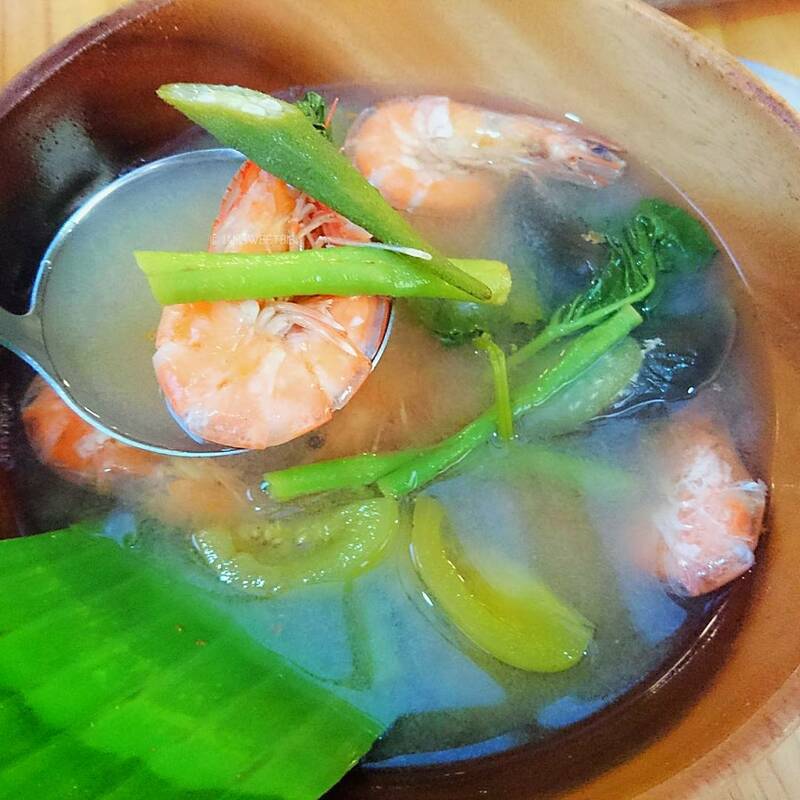 Sinigang na Hipon has distinct taste that the soup was too delicious. Different from my version too (of course I am not a pro when it comes to cooking). It is maasim but there is also a tamis variation in every sip. I still remember how good it is even if I tasted it for a month already. 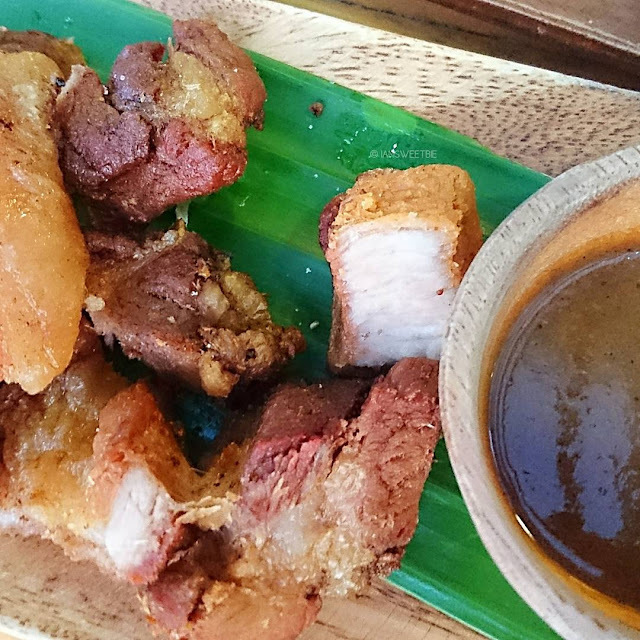 Lechon Kawali is malaman though but not good enough for us because the serving is bitin. The sauce included is just like Mang Tomas, nothing special. I can't review the platters because I haven't tasted them but according to my in-laws, since it has side dishes of pakbet and atsara, it's good too plus for the price of it, it's already worth it. I also ordered a pitcher of iced tea but I didn't like it. I should have listen to the crew when she says that their best seller is the red iced tea which comes together with the platter. My niece told me that it taste good better than the pitcher that was served. The pitcher iced tea has latak on it. Not a good stir. Well imagine this, we have 5 adults and 4 kids but we only have a less than Php1500 for the dinner. Then I accompanied them for dessert since Arcat offered a much pricey dessert on their menu. 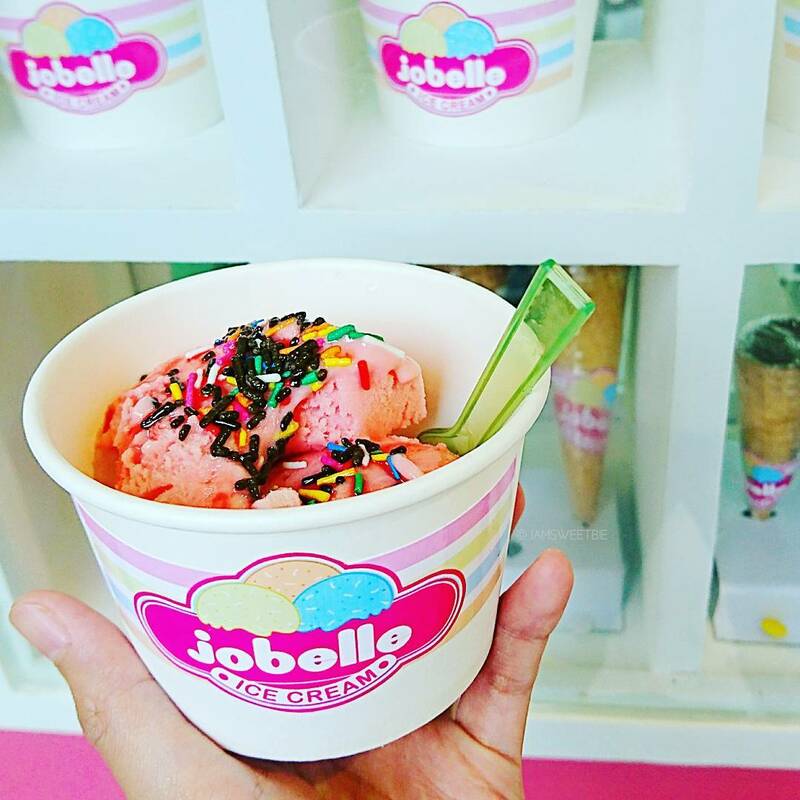 We headed to Jobelle's ice cream. Yay for the Php10 and Php20 ice cream they have, we have a delicious dessert on the go. We tried their different flavors from chocolate to buko salad and their best seller Chili Strawberry Ice Cream. 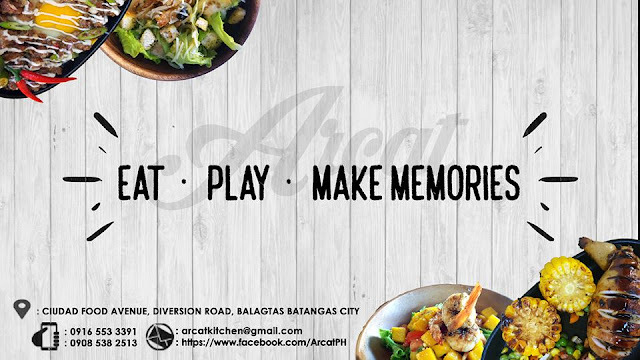 Truly, Arcat's tagline is true to what they say. Eat, play and make memories. Because at the end of the day, we have a memory to cherish after dining with them.